Notice Something New? BaseSpace Apps! 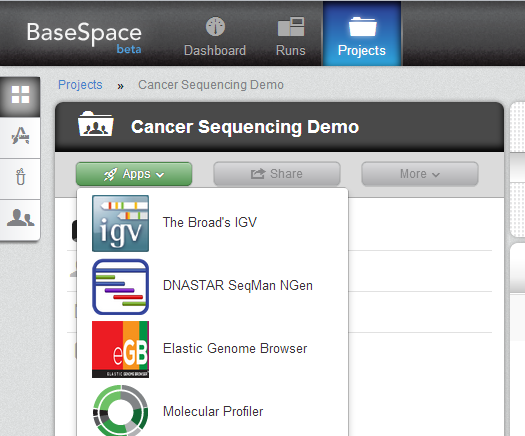 With the front pages, we wanted to streamline the information about BaseSpace, conveying the simplicity of having BaseSpace Apps one click away from your sequencing data. BaseSpace’s goal has always been to revolutionize genomic research by creating an environment with large stores of sequencing data and allowing that data to be easily accessed and analyzed online through third-party applications. 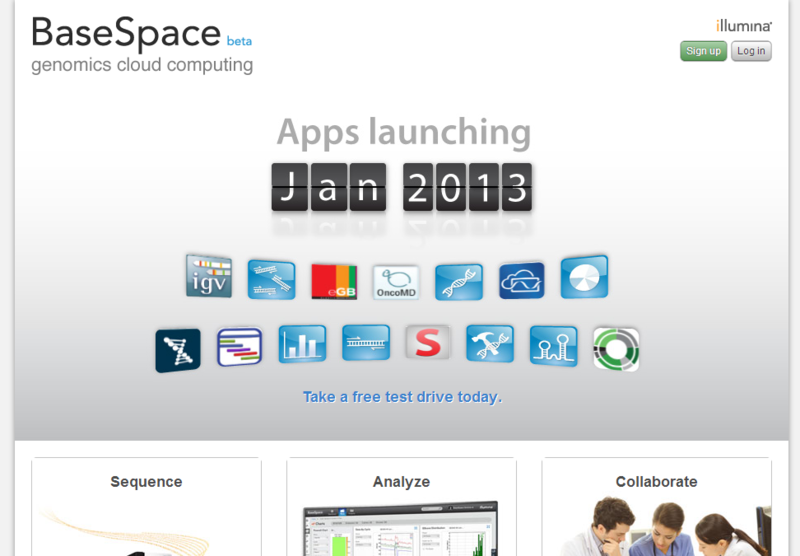 And beginning today, the first applications are arriving as BaseSpace Apps! BaseSpace Apps are the result of the BaseSpace team partnering with a number of leading commercial software vendors – but BaseSpace Apps is more than just a store to buy applications. It’s a place that puts your valuable sequencing data within point-and-click access of a rapidly growing suite of tools from both commercial and academic developers. Today there are tools for genome browsing and visualization, gene expression, functional classification of variants, variant filtering, reporting, and data management. What’s more, these applications will be completely free until January 1st 2013. You heard it correctly, free analysis for everyone! BaseSpace greatly simplifies third-party software development by creating a robust platform-as-a-service specific to the needs of next- generation sequencing data, and creates a powerful infrastructure for the access, distribution, and sharing of third-party tools. This model has enabled an extensive initial list of commercial BaseSpace Apps vendors, and more are on the way. Biomatters, DNASTAR, Golden Helix, Ingenuity Systems, Omicia, Partek, SciGenom Labs, Strand Life Science, and Syapse will be among the first vendors with BaseSpace Apps available for you to try. Some of these names may be new to you, while others may represent products that are currently in your lab. The good news is that you can begin to try them all on your own data… for free. We encourage you to give the BaseSpace Apps a try as they arrive. You can launch them directly from your own projects, or from your sample details pages, using your own data or our BaseSpace demo data. If you’re at ASHG this week, we will be demonstrating many of these Apps with the application vendors in the Illumina Lounge. Stop by, plug in, and blast off – we enjoy showing off BaseSpace!